Year in and year out, millions of consumers spend exceedingly huge sums of money for anti-aging products that enable their skin look firmer, younger, and more supple, among others. Simply put, finding the fountain of youth has become the “in” thing nowadays. Because of the need, a vast majority of over the counter skin care products out on the market today. Many of them are effective in eliminating wrinkles, sagging skin, and other signs of aging but sad to say, they also contain harsh chemicals that may irritate the skin of certain individuals. It is a good thing though that many companies include natural ingredients in their wide array of excellent products. Some of the most notable ones are aloe Vera and emu oil. Read on and find out why the said components are vital in the skin aging field. Aloe Vera, a plant that resembles a cactus has been utilized for centuries to beautify skin and prompt natural healing. It contains more than 70 active components such as enzymes, vitamins, minerals, and amino acids, among others that help moisturize skin tissues, improve blood circulation, and jump start skin regeneration. With regular use, aloe Vera can lead to the development of firmer and smoother skin. The said plant originated in North Africa and was originally used to treat different skin conditions and at the same time moisturize and sooth the skin. Studies show that it has been used for more than 5,000 years by individuals who want to prolong the signs of aging. Aloe Vera not only has anti-inflammatory properties, it is also anti-bacterial attributes. This makes it an excellent choice for the treatment of skin irritations like sunburn and acne. It is also full of nutrients like amino acids and it also helps moisturize the skin tissues as well as stimulate circulation and regeneration, leaving the skin revitalized. Aloe Vera achieves the said benefit because of the following attributes. Improve cell regeneration and make the skin look smoother. Reduce wrinkles by stimulating the skin to produce elastin and collagen—natural amino acids—that play essential roles in the skin’s firmness. Reduce skin damages that can be brought by the sun’s ultraviolet rays by drastically improving the skin’s natural protective response. Protect the skin against the harmful effects of pollutants, dirt, and other elements that may harm it and cause serious health problems. Minimize unhealthy skin pores that contribute to the development of wrinkling and sagging skin. Remove dead skin cells and halt the development of acne. This is possible because the exfoliating properties of the plant clean the pores before they become clogged with the said skin cells. Reduce the damages that can be brought by free radical damage. Because of its myriad of benefits, it is not astonishing why aloe Vera has become widely used in the skin care field. Manufacturers and distributors make it a point to add them to their products. Utilized by ancient individuals to improve skin conditions, counteract the signs of aging and regenerate skin cells to achieve a more radiant glow. It comes as no surprise that after all this time; aloe Vera remains one of the most trusted skin care components. The benefits of emu oil are medically documented and are proven accurate. For many years, the said oil has been used together with conventional medicine to counteract the effects of aging. Like aloe Vera, it is used by Skin Energizer and other cosmetic firms because of its superb moisturizing attributes. For those who are not familiar with the said oil, it is a by-product of a native Australian bird called emu. It is basically released when the meat of the bird is processed. The oil that is obtained in the procedure is cultivated and the fat is separated, purified, and then sterilized to expel any impurity that may reduce its moisturizing effect. When it comes to skin care, emu oil is essential in treating a myriad of skin problems like wrinkling and sagging skin, acne, inappropriate complexion, and contact dermatitis, among others. It also helps in keeping the skin hydrated and somewhat gives protection against dryness, skin rashes, and skin irritation. 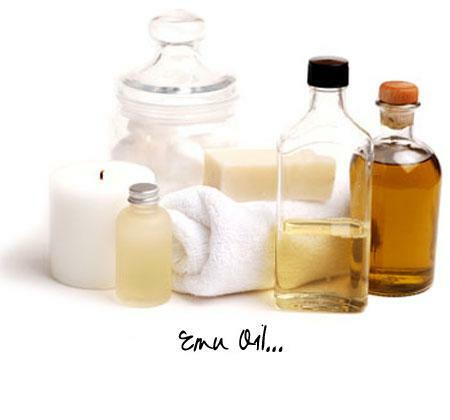 Emu oil also acts a natural skin softener and moisturizer. Medical studies show that with regular use, it can effectively and efficiently eliminate fine lines and wrinkles since it easily penetrates the skin and cause the said skin symptoms to regress. Many cosmetic products that are out on the market add several therapeutic components to enhance their moisturizing potency. The said oil is ideal for those who have sensitive skin and are allergic to chemicals that conventional skin care products contain since it is non-toxic, all natural, and hypoallergenic. Furthermore, emu oil is non-comedogenic which means that it will not clog skin pores. Aloe Vera and emu oil are traditional skin care components that have superb track records when it comes to moisturizing the skin and counteracting the effects of aging. Their exceptional attributes have somewhat changed the way skin care is performed nowadays. Gone are the days where people who want good looking skin rely on conventional products that offer sub-par moisturizing and nourishing. At present, many turn to celebrated firming lotion and cream that contain aloe Vera and emu oil. With these two ingredients individuals who want to achieve smoother and younger looking skin can rest assured that they will have their money’s worth. Another good thing about the said products is they can be purchased at very affordable rates as such; even those who have limited budget can experience good looking skin without the need to shell out huge sums of money. In the end, when it comes to exceptional skin care, those who want to achieve the best results should turn to those that contain aloe Vera and emu oil. Purchasing them is easy since interested individuals can easily obtain them from conventional cosmetic stores and from online retailers such as Skin Energizer. Just look for the trusted brand and you’ll never go wrong.